Detox Diet, Days 2 & 3 ~ Rachel | Losing It! Day 2: I spent my day at the office and boy was it ever nice to not be in the kitchen! Breakfast was a spinach and goat cheese omelet, lunch was Black Bean & Tomato Quinoa Salad and snacks during the day consisted of nectarines and hard boiled eggs. I never got around to the baked lentil chips. Dinner was absolutely fantastic. I quartered 3 small red potatoes and sauteed them in 1 Tbsp of EVOO along with asparagus and 6 oz of salmon. I seasoned the salmon with Pyramid Peak Lemon Pepper and seasoned the potatoes and asparagus with Supreme Shallot Salt (both from Savory Spice). Doc probably wants me to not use salt, along with everything else, but I am allowing it. My blood pressure is normal and I’m on my period. Give a girl a break! After dinner I decided to hit up Trader Joe’s to see what I could find. They had nice looking wild-caught salmon for like $8/lb so I got some of that. I also picked up more produce (avocados! 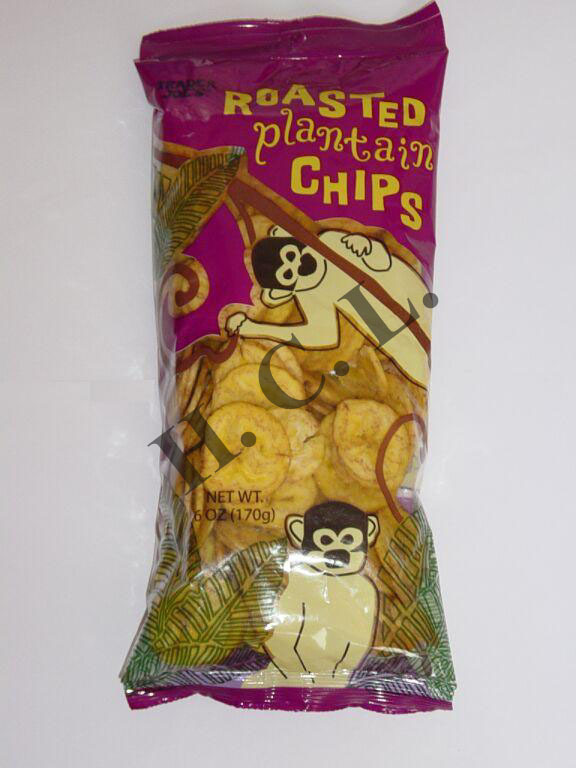 ), nuts, green tea*, spinach, almond butter, EVOO and a new food find: roasted plantain chips. Um, these were AWESOME! It’s just plantains, safflower oil and salt…and they are roasted. So I’m going to assume they fit into the detox diet! There is one problem with them. I ate like 2/3 of the bag when I got home. Like I said…time of the month…salt…I’m not going to beat myself up over them! *So I tried plain Bigelow brand green tea at work yesterday and thought it was just fine. I then tried a Jasmine Pearl Green Tea and hated it. It felt like I was drinking the soil from a flower garden. Blech. I bought some regular green tea at Trader Joe’s which should be fine (and if it isn’t, I’ll pass it to Karen, my buddy at work who should have a central line put in for green tea). I’m a bit confused about green tea being on the ok food list since it has some caffeine in it (which is a no no). There is decaf green tea but it costs a lot more. I’ll ask Doc on Monday if I have to buy the decaf green tea. I hope he says no. If he says yes, I’m going to yell at him for giving a patient a really poorly written packet of information on detox diets. In fact, since it says nothing about sugar, I’m going to yell at him anyways. I might offer to redo his packet for him because it’s driving me THAT crazy. Day 3: I am home today because there are movers all over the place at work and it would be too noisy. Luckily I didn’t wake up with a headache again…but noise at work probably would bring it back! Anyways…breakfast was an omelet with, you guessed it, goat cheese. Instead of spinach, I grated a zucchini. It was a little different…I might go back to spinach tomorrow! I snacked on pineapple at some point. I then decided to hit up Whole Foods for some Stevia. Artificial sweeteners are EVIL, I’m discovering. Doc said I could use Stevia…but only the pure extract. If the sweetener is in powder form, something else like dextrose or maltodextrin (or lactose in one weird case) has been added to it and apparently, those are not good things. You should have seen me standing in front of the Stevia at the store! I think I was there for 10 minutes. 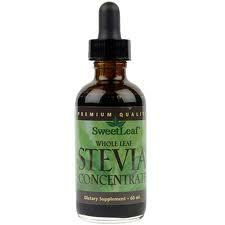 The 365 (Whole Foods) brand was pure Stevia extract but it was in a mixture of water and alcohol. That blew my mind a little and I was really unsure of whether that was ok or not. I ended up buying the stuff without alcohol…which was like double the cost but concentrated…it better have been the right decision! I don’t use sweetener a lot so it should last a long time. We have a bunch of Stevia and Truvia packets in the house…Dave has to make the decision of whether to get rid of them or use them up. I won’t use them. Then again, I really haven’t used them a lot. I rarely put anything in my tea anymore (unless it’s milk added to the Earl Grey Creme from Teavanna which is HEAVEN in a cup). 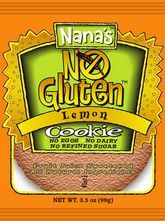 I picked up a couple of other items as well, including 2 Nana’s No Gluten cookies…one was lemon and the other is chocolate crunch. These contain no gluten, no eggs, no dairy and no refined sugars. They are sweetened with fruit juice and have all natural ingredients. When I got home from Whole Foods, I ate my Black Bean & Tomato Quinoa salad and then dove into the lemon cookie. The taste was pretty decent…the texture was most definitely odd and very crumbly…but the verdict is that it’s more than edible. And it was 5 points plus…which is about 2 points higher than my normal “treat” but was kind of worth it. I imagine the cravings will go away as I get further into the detox and as my period goes away, but for now, I will enjoy experimenting. I also bought a key lime pie Larabar…it’s 6 points plus but I’ve always been curious about them. I will keep you posted on my verdicts! Ooooo – curried turkey with potatoes sounds awesome! Sometimes I hate having to really label shop at times. Especially when I am looking for something new, so I try to limit new things at shopping trips or it takes 3 hours to shop!